Taking note is one of the main activities students do. However, if you don't take good notes, then it doesn't really matter, as they won't help you study and learn. If you want to make sure you become an expert note-taker for when the next school year starts, read the post below. For starters, keep your notebooks clean and organized. You should have a notebook for each of your school subjects, and you should use them accordingly. This way, you won't be confused when the time to study comes around. How do you expect to write down notes if you don't have your writing tools with you? Keep your pencil, pen, eraser, and more supplies handy, so they're ready to be used at a moment's notice. Keeping up with your teacher can be overwhelming. To make it easier on you, create a writing strategy that will allow you to stay on top of everything they say. For example, you can write common abbreviations and main ideas to save time. Needless to say, taking notes that you can't decipher isn't effective. 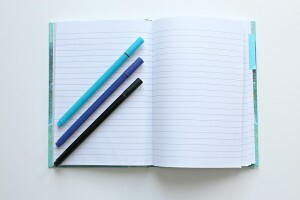 To become a better note-taker write down understandable notes (i.e. in legible penmanship and with complete ideas). There's some information in your notes that you need to emphasize (such as dates, names, definitions, formulas, among others). Use your highlighter to make them stand out. Finally, don't forget to review your notes at the end. This way, you can guarantee that they're complete and comprehensible.If something is confusing, have a teacher or classmate explain it to you. Call The Tutoring Center, Wichita KS at 316-734-9704 to set up a free diagnostic assessment.